Indians are blessed in a way that great quality spices are born in its backyard. 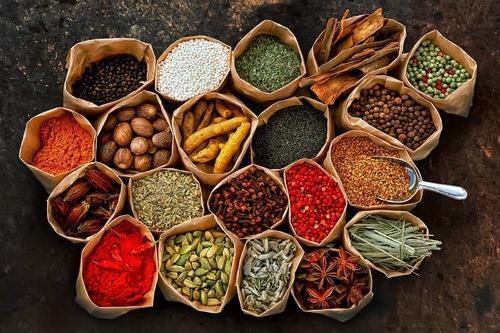 Spices are the special ingredient in the food that adds flavours and aroma. But there are two varieties of almost all the spices available. They are Ground or Whole spices. What to use when? Which one is better? Here is your own complete guide to understand. This writing is going to clear all your doubts regarding Ground and Whole Spices. Here are generally five cases to decide between the two. So let’s start without any delay.
. If you guys are looking for aroma in your food go for whole spices. Reason: The whole spices have essential aroma oils which break out in cooking. Usually, the aroma of food keeps the hunger calm. Mostly Indian foods contain delicious curry. The fact related to the curry is that it should be smoother and even. The even curry gives you the required texture of your food. For curry associated foods go for Ground spices. Reason: These spices are available in the powdered form. They tend to mix properly with water to give even texture. These spices let you control the liquidity of curry. You can choose from more viscous to less viscous by controlling the amount of spice used. After a long tiring day of a working woman, cooking actually feels horrible nightmare. If you want your food to be cooked in just a blinking eye time period; I would recommend you to go for ground spices. Reason: The reason for this is no different from the above. The powdered spices tend to dissolve quickly with the food to unleash all its flavour ingredients in just a span of time. If you are seeking fresh nourishment of spices; you need to go for whole spices. The preserved fragrance and natural moisture of whole solid spices give you the fresh complex taste. The same flavour is hard to achieve by using powdered spices. Reason: The freshness of the flavour, moisture and natural oil is very well preserved in whole spices. These spices do not contain any additional preservatives too. The masala oriented foods are not so good for health. You should try to minimise the use of spices in your food. Food without proper spices is hard to gulp. For health conscious people, it is better to go far whole spices. Reason: The natural whole spices do not contain harmful preservatives. The natural sources of spices protect you from harmful effects of masala. Why not grind by yourself? Most of the home cooks prefer to mash or crush the whole spices to make it powdered or paste. The fresh flavours of spices blend well with other ingredients to bless your food. This entry was posted in exporter, food, Ground spices, indian spices, whole spices and tagged ground spices, Indian spices, whole spices. ← 3 Thing to know before buying the whole spices! !